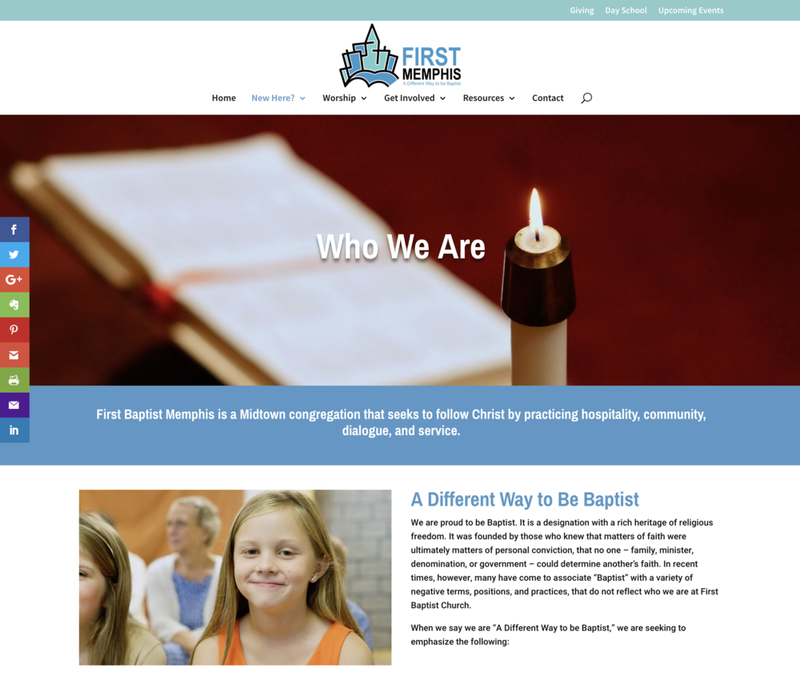 Faithlab recently completed a project with First Baptist Church in Memphis, TN. Church website redesign: Faithlab redesigned the site to make it friendlier and easier to update. Photography (Faithlab came on-site to capture photos) was used to help the site reveal the character of the congregation. The site uses an engine atop Wordpress that allows for striking visual pages and flexible layouts. 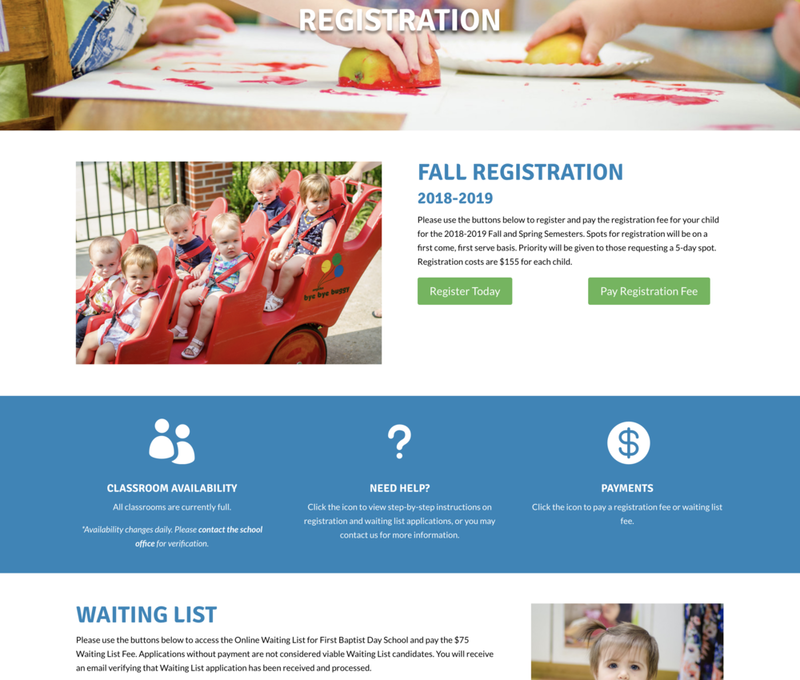 Day School website redesign: The Day School site was redesigned to be similar to the new church and day school branding, while also allowing it to have a more playful appearance than the main church site. Church logo redesign: Faithlab worked with staff and laity to develop a new logo that fits with the character of the church with an eye toward appealing to new generations. Day School logo redesign: The new day school logo is a version of the new church logo, so the two are immediately associated visually with one another. The Day School version uses brighter colors and a more playful typeface. Worship Guide redesign: The worship guide was redesigned to better fit with the new logo and branding of the church. 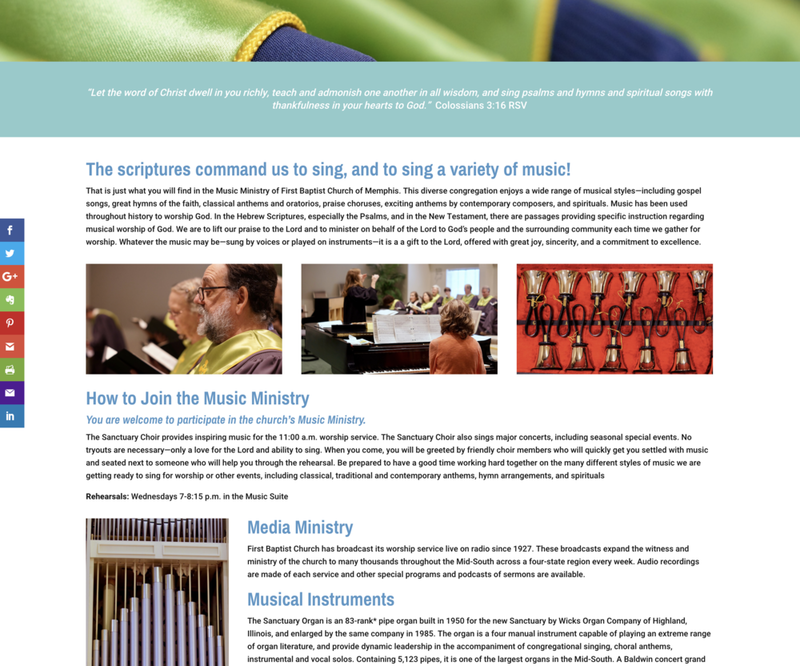 Newsletter redesign: The newsletter was redesigned to better fit with the new logo and branding of the church, while also looking at what sorts of content worked best in the newsletter. How can Faithlab help your church?